Careables (provided by the Made4You project consortium) facilitates co-design of open healthcare for people with physical limitations. People’s needs regarding their physical limitations are personal, subjective and diversified. To customize healthcare solutions, a process of personalization is needed, which cannot be provided through the prevailing industrial focus of ‘one size fits all’. Careables aims to build an ecosystem, linking existing local communities of citizens with disabilities and their families, healthcare professionals and makers and establish collaboration between these separate communities to develop their own open-source and license interventions. 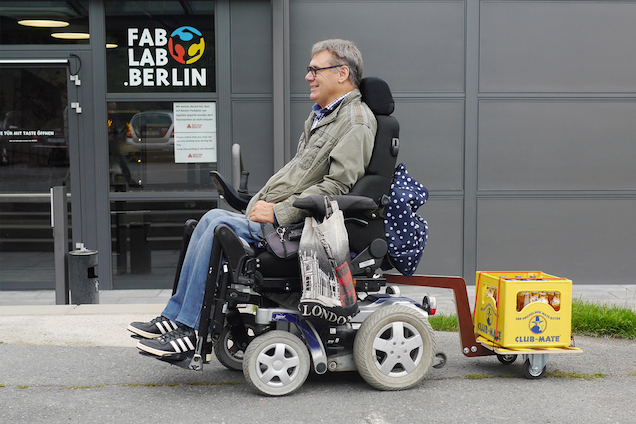 By providing access to open source and digital fabrication tools we enable citizens with disabilities and healthcare professionals to co-produce solutions that are tailored to their special needs or disabilities, bypassing the limitations of the classical industrial production. Through open exchange of knowledge, case stories and manuals we foster an emerging ecosystem. Standards and guidelines will allow anyone to replicate formats everywhere, considering the socio-technical aspects as well as relevant legal and regulatory frameworks, quality standards, intellectual property rights implications, security, safety and privacy issues. The long-term goal is to affiliate a community of designers, users, fablabs and makerspaces who develop similar projects and replicate events and activities to a knowledge-sharing platform that aims to achieve mass adoption and global impact. News: Sign up now to the Careables newsletter!